Though we brush our teeth every single day, it’s actually pretty easy to forget about our gums. But we shouldn’t! Gums are just as important to your overall dental health as your teeth, and many of the problems that your teeth suffer affect your gums too. Because of this link, it’s crucial to pay attention to your gums, or you could open them up to the very real risk of disease. It’s likely you already know about plaque – the sticky film that forms over your teeth. It’s mostly composed of bacteria, mucus, and food particles. Not something you want hanging around! If left unchecked, it hardens into a substance called tartar, which is the main source of all the bacteria that can cause serious damage to our gums. The early stage of gum disease is called gingivitis. Though the name makes it sound like an odd kind of biscuit, the reality is far less pleasant. Your gums become swollen and red, and bleed easily. The good news is that if caught early, it can be reversed with a solid, regular dental regime. If not, though, it develops into periodontitis. The onset of this is signalled by increased inflammation and bleeding around the tooth. Bacterial poisons in the plaque starts to break down the gum attachment to the tooth. It’s exactly as scary as it sounds, so emergency treatment at this point is crucial. If still left untreated, it develops into advanced periodontitis, which is signalled by heavy destruction of the bone that holds the teeth in place. In short, your gums deteriorate and you lose your teeth. Not good! So that’s the bad news. The good news is that it’s fairly easy to prevent it. As always, diet is all-important. Dairy products are especially helpful. Cheese and yoghurt, for example, are not only packed with calcium (fortifying your bones and teeth) but also with casein, which basically neutralises some of the harmful acids in your mouth. It’s so good at that, in fact, that lots of dental professionals recommend a quick cube of cheese after every meal, to counteract the acids from food. It’s a handy – and cheap – alternative to sugary desserts. Meanwhile, salad greens are great at keeping mouths clean because they’re fibre-packed, meaning that they require lots of chewing to break down. The extra saliva produced by this process again neutralises mouth bacteria – given the right fuel, your body’s pretty good at fighting plaque on its own! Stringy, high-fibre foods like raw spinach and celery act in a similar way. A few more tips: brush your teeth thoroughly, at a 45-degree angle to your gums, and make sure to cover the surface of every tooth. Flossing is also an oft-underuse dental health method – especially here in the UK – but reaches places in between your teeth that a toothbrush isn’t able to, so it’s not to be neglected! 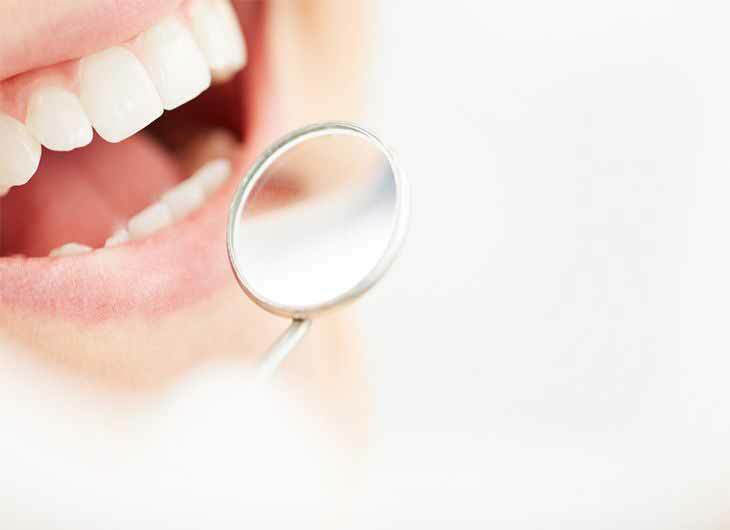 These are just some basic tips, but our dental professionals here at APSmilecare can always recommend specific solutions based on your personal dental health. Don’t hesitate to check out our treatments aimed specifically at improving your gums’ health. For any help or advice, you can always call us on 01254 297 000.